Ouch! 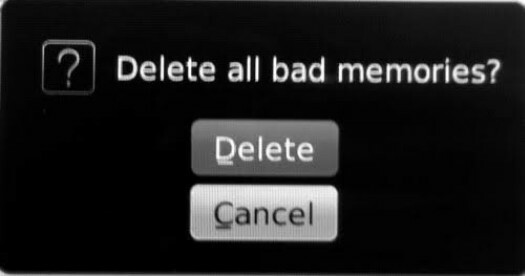 I mistakenly deleted a folder from my phone. A picture folder at that. It was so painful because I had about 250 pictures in it. 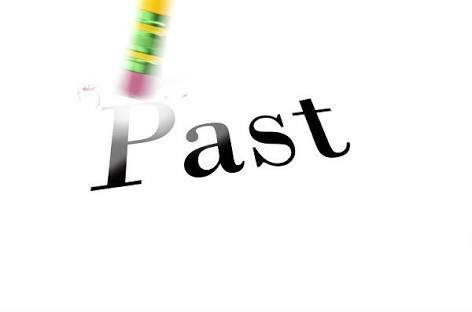 I literally have to learn to forget the past and move on. Jeez. It's not as easy as it sounds. It dawned on me that there is nothing I could do to "undelete" the deleted picture folder on my phone. I tried so hard to bring back the memories. And I learnt something; I can change the present and the future - especially by learning from my past - but I can't change the past. It doesn't do any good to worry about something that I have absolutely no control over. It's gone. It's gone. It's gone. You know, it is easy to live in the past. But it's hard to live in the present. There’s something about the past that somehow make us want to hang on to it. Could it be because we’re unhappy with the present or afraid of the future? Maybe it’s because we do not know how to move on? Could it be because we find it comforting? Or maybe we feel that it’s important to hang on to it because it makes us who we are today? Whatever. We have to look beyond what is behind and look at what is right in front of us. Take my example. After I mistakenly deleted the picture folder, I sat there reliving over and over everything that had happened to me once before. I was literally dwelling in my past. So instead of worrying about the pictures of the past, I should be focusing on creating beautiful pictures of now. I should be living and relishing in this very moment. That is what I am telling you to do too. Forget the success of the past. Forget the glory of the past. And look ahead of you because there is more for you to achieve, discover and become. OK. Your past is not entirely a waste. No matter what happened, your past is an asset that can become a great instrument in taking you to the top. Do not waste your past. Perhaps you have gone through mess. Those messes have produced in you patience, steadfastness, tenacity, experience, character, maturity and wisdom. God is working in you and moving you along, little by little, in such a way that you may not even notice you are no longer where you were last year. Last month. Last week. Yesterday. Those who think they know me based on my past are mistaken, my change game is solid. It's a daily affair. That applies to you too. You are different. You've changed. You've grown. Move on. Facing the present means that we put our faith in Jesus Christ, and trust Him to be involved in every part of our lives. 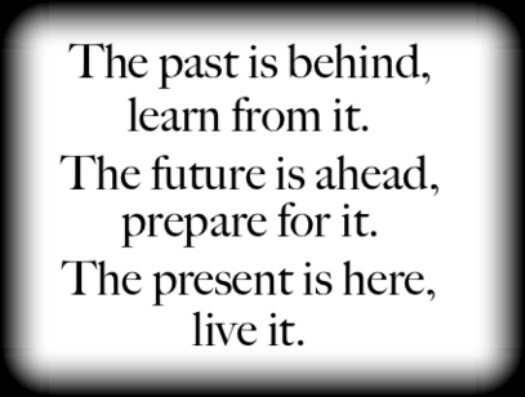 Facing the present means that we choose to live life as it comes to us day by day. Not in the past, not in the future, but right here and right now. God does not want us to waste our lives away. He wants us to “seize the moment” and live every day of our lives with a purpose. He’s given us a reason for living; to be like Jesus. Our dreams will not come to pass when we dwell on yesterday's failures and disappointments. Miracles are for today. It has to happen right now, and it will - if we forget the the past and face the present. Let's seize this moment and make it our own, and just say "YES LORD, I BELIEVE TODAY IS MY DAY!"